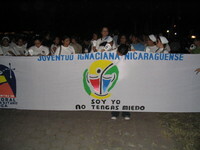 March in San Salvador commemorating the Salvadoran Martyrs, 2006. 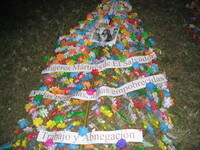 Banner used in the march commemorating the Salvadoran Martyrs, San Salvador, 2006. 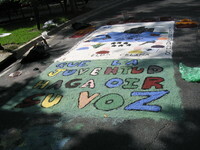 Artists create a street mural to commemorate the Salvadoran Martyrs, 2006. 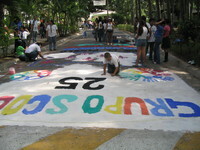 Street mural created during the Salvadoran Martyrs commemoration, San Salvador, 2006. Protesters in Chicago rally against the Salvadoran Civil War, March 1989. Ellacuría discusses Contadora and peace. Ellacuría discusses the U.S. government and the Salvadoran conflict. Ellacuría discusses negotiating the release of President Duarte's kidnapped daughter. Ellacuría discusses President Duarte's abnormal personality.